Yes, morphine is among the most addicting opiates that can lead to severe addiction and withdrawal symptoms. The drug is life-threatening. One of the dangers of morphine addiction is overdosing on the drug. Other health risks are related to the mental well-being of the user. Also, morphine abuse leads to many negative social outcomes, such as crime and unemployment. Morphine addiction can lead to many physiological and psychological side effects. Tolerance, withdrawal, social isolation and legal problems are some of the signs that indicate dependency. Pains, constipation, distorted thinking, and depression can also mean morphine dependence. Also, suspicious marks on the body, poor hygiene, and regular doctor appointments may help you spot morphine addiction. Treatment can save lives. Morphine is a powerful narcotic that comes from the opium poppy. All opiates are habit-forming and among them all, morphine causes one of the most severe addictions. One should be familiar with the common signs and symptoms of morphine dependency because the drug can be life-threatening. Then it’s time to cope with the dangers of morphine addiction and seek help. Morphine addiction leads to many physiological and psychological changes. Also, as morphine leads to euphoria and relaxation, the proper functioning of the opioid receptors in the brain changes and one is no longer able to experience joy and pleasure without the drug. That leads to depression, apathy, and suicidal thoughts. In general, opiate withdrawal is painful and devastating. However, remember that it won’t last forever. Then they might be struggling with morphine addiction. Cravings can make a person hectic, confused and aggressive. Crime and prostitution are also among the common consequences as the addict often becomes desperate to obtain morphine. When we sport morphine addiction, we shouldn’t ignore it becomes the drug can lead to fatal outcomes. Even when prescribed by a health professional, morphine is highly addictive. Unfortunately, many teens also abuse opioid analgesics because they believe that prescription drugs are harmless. As we know, pills, such as Roxanol and Kadian, contain morphine. Data shows that in 2014 more than 4.3 million people in the U.S. used painkillers without any medical implications. These effects can lead to coma and death. In the case of an overdose, call 911! 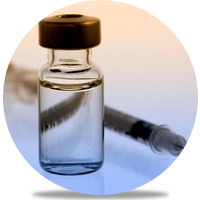 Another risk is related to injecting morphine: HIV, vein thrombosis, and infections can also put one’s life at risk. Other dangers are related to the long-term effects of morphine, which can also be lethal: sleep disorders, problems with the gastrointestinal tract and blood pressure. Cravings can make the person addicted to morphine paranoid, confused and disorganized. Apart from that, many social consequences, such as social withdrawal, ruined families, and unemployment, show how dangerous morphine addiction is. Morphine addiction can be hard to overcome, but one shouldn’t give up. The first step towards sobriety is to understand that even when prescribed by a professional, morphine is addictive. If you or someone you love are struggling with admitting that, interventions might be needed. You’re not alone. Unfortunately, more than 2 million Americans are addicted to morphine. Detox is the next step in recovery. Tapering down is better than going cold turkey. In fact, a study conducted by the Georgetown University Medical Center shows that a sudden cessation may lead to a decline in the mental functioning of the addicted users. Substitution medications or drugs to treat anxiety and withdrawal symptoms can be used, vitamins and other supplements are also helpful. Both inpatient and outpatient rehabs offer treatment for morphine addiction. The medical side of recovery should be accompanied by therapy and counseling, which are crucial to explore the triggers and pains behind substance abuse and all comorbid disorders that might exist. Last but not least, one should consider support groups and involvement in social activities in the aftercare process. We can help you find the best treatment center near you. Click here to get help. In conclusion, although morphine addiction has been captured by many artists – especially among women during the Belle Epoque in France, there’s nothing romantic about the drug. Morphine addiction is painful and devouring. However, do not forget that you can beat your morphine addiction! Very informative. Even though I don’t live in the US, this still makes a lot of sense. It’s pretty much the same in the UK, and if anybody is like this then they should do something about it. I’ve taken a lot of morphine over the years and I’m sick to death of it. I take it legally for pain and I’ve been told that because I’m on such a high dose, it’s doing more harm to my body because of the dose I’m on then if I was on a lower one. So I don’t know what to do. I’m not mentally addicted to it, and I never have been addicted to drugs mentally.. but I’m guessing that my body is physically. So that’s probably why I keep thinking that if I lower the dose that I’ll be in more pain.. but at this rate the way that I’m going, I’m never gonna get better if I don’t try something?! !